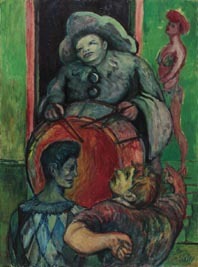 Circus is a topic that often recurs in Sassu's art within Uomini rossi. 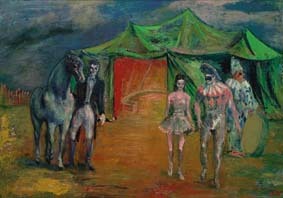 In the beginning of the Thirties, in fact, some of his paintings were related to a reinterpretation of the circus theme deriving from Picasso. From time to time, Sassu loves returning to themes and series already faced to develop them, deepen them, make them new through his artistic and stylistic maturation. 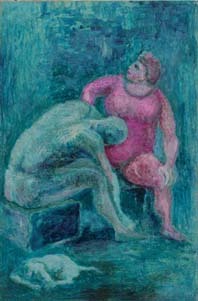 The three paintings in question are examples of Sassu's realism, and here there is the chance to combine the two essential components of work and social life.